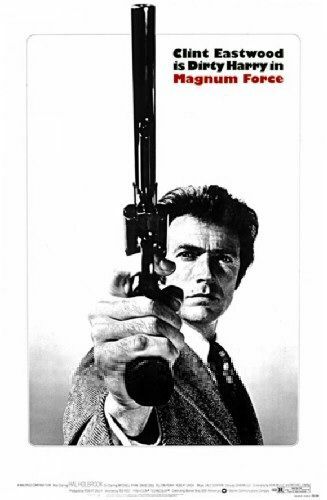 Clint Eastwood is back in 'Full Force' as Dirty Harry in "Magnum Force." San Francisco Police Inspector `Dirty' Harry Callahan and his new partner, Early Smith have been temporarily reassigned from Homicide to Stakeout Duty. Meanwhile, those of the city's criminals who manage to avoid punishment by the courts are nevertheless being killed by unknown assassins. Callahan begins to investigate the murders despite the orders of his superior officer, Lieutenant Briggs. A man has to know his limitations... After Harry Callahan put an end to the 'Scorpio' murderer, he finds himself taking on a different kind of criminal, the kind that carries a badge. When a man acquitted of murder on a legal technicality is found dead along with his lawyer, chauffeur, and bodyguard, Harry and his new partner 'Early' Smith start to investigate but are ordered off by Harry's boss, Lt. Neil Briggs - a man who Harry despises because of his bleeding-heart approach to law enforcement. Soon after, a mafia figure and several of his family & friends are gunned down at a pool party, and a drug dealer is also murdered. While this is going on, Harry & Early stop an aircraft hijacking and a liquor store robbery. After a well-known pimp is murdered - in circumstances that point to a traffic stop - Harry & Early are reassigned by Briggs to investigate the homicides. When Harry is tasked with arresting mob boss Frank Palancio, the result is a bloodbath in which both Palancio and a young police officer are killed. In addition, Harry's friend & fellow cop Charlie McCoy is savagely murdered - by another cop! Things heat up even more when Harry discovers a bomb in his mailbox - and Harry finds himself in serious trouble when his boss pulls a gun on him. Now Harry must fight for his life against the crooked cops and his traitorous boss. Several criminals who have eluded the law are being gunned down by a cop on a motorcycle. Harry, who was reassigned to stakeout duty is assigned the case cause his superiors are afraid that this is some kind of gang war. But Harry suspects that they have a vigilante on their hands, quite possibly a cop. There is a quadruple murder in San Francisco that baffles the cops on the scene -- it happened in broad daylight on a crowded street with no sign of a struggle. Inspector Dirty Harry Callahan suspects something unusual. He goes to have burgers at the airport with his new partner, Inspector Early Smith. Dirty Harry shoots a couple of incompetent hijackers, and shortly thereafter, he stops a drugstore hold-up. After more killings follow the quadruple murder, City Hall is putting the pressure on the Police Department to put a stop to the killings. At first, Lieutenant Briggs is reluctant to assign Dirty Harry to the case because of Dirty Harry's attitude problem and penchant for pulling his gun, but when the bodies really start to pile up, Dirty Harry is assigned to the case. Whoever is doing the killing seems only to be selecting criminals, like mobsters, murderous pimps, and other felons. Dirty Harry suspects that they have a vigilante on their hands, quite possibly a cop. Discovering that all the killings have been committed by a .357 Magnum, Dirty Harry suspects that Officer Charlie McCoy is responsible. Many cops and the public, people who are fed up with the system, see the killer as a kind of hero. All is not what it seems after Charlie ends up murdered, and Dirty Harry becomes convinced that it's an inside job. As it turns out, a group of frustrated cops led by Officer John Davis have been killing mobsters, murderous pimps, and other people of that kind who are set free. Davis and his three partners Officer Phil Sweet, Officer Red Astrachan, and Officer Mike Grimes killed Charlie to throw off the police from suspecting a conspiracy. Now it's up to Dirty Harry to find Davis and his crew. Labor racketeer Carmine Ricca is acquitted of a multiple murder on a technicality, but after leaving the courthouse amid a sea of reporters and a mob of angry demonstrators, he is driven away - and some time later that day is found shot to death with his driver, lawyer, and a bodyguard. Inspector Harry Callahan and his new partner Earlington "Early" Smith drive by but are asked to leave by Callahan's boss Lt. Neil Briggs, who had Harry and Early transferred out of Homicide to Stakeout because he despises Harry's methods. Another mob figure is gunned down in his pool with a large gathering of guests, but it not until the killing of a known pimp - and after Harry has foiled a plane hijacking and liquor store holdup - that Harry and Early are reassigned to Homicide to head the investigation of these killings. Harry soon clashes with Briggs over the police's primary suspect, Frank Palancio - a clash that becomes hotter when a Palancio associate and a uniformed traffic officer are shot to death, and a subsequent raid on Palancio explodes in a firefight - a raid that Harry finds was a setup by the real killers. 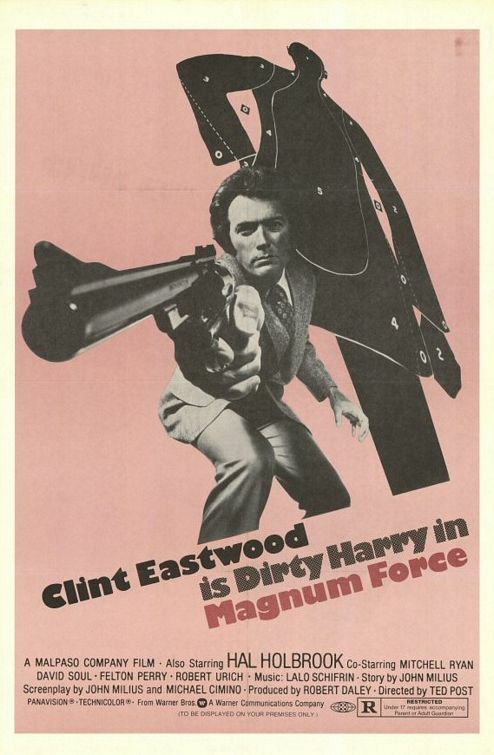 Somewhat disappointing sequel to "Dirty Harry", 21 February 2002 Author: Aidan McGuinness from Dublin, Ireland "Magnum Force" - the second in a series of five Dirty Harry movies - suffers some "sequelitis". It tries to keep to the spirit of the original, but forces itself to attempt to change some elements to distinguish itself from it's predecessor. 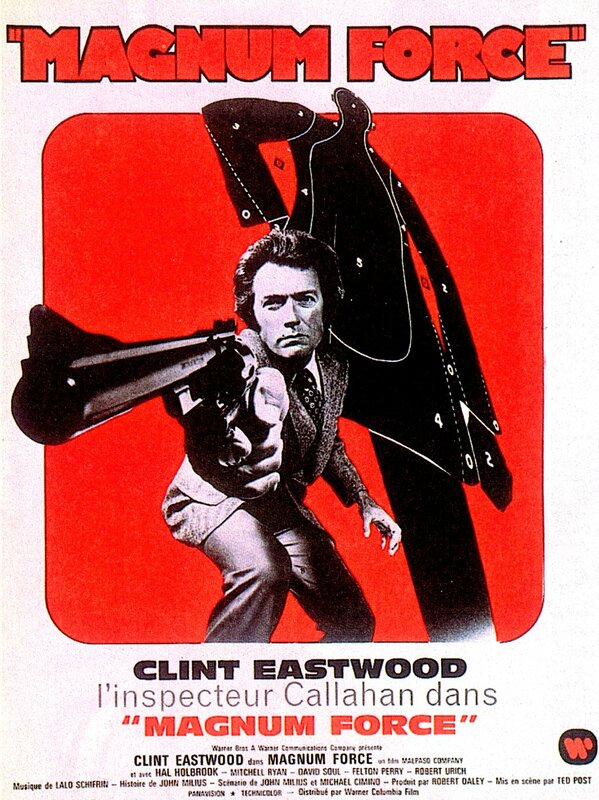 "Magnum Force" is about corrupt officers acting as vigilantes. This is an alright idea - it's been done elsewhere - but the central "villains" of the piece aren't half as sinister, or effective, as the killer in the original movie. The killer there was quite "freaky" - for want of a better word - but here the villains are just cold, relatively faceless and characterless men. That's not a good idea. As well as the main story-line both movies features Harry getting involved in a few story-lines. "Magnum Force" doesn't succeed here quite as well - there's a ridiculously implausible air hijack fiasco for example. The scenes aren't permeated with Harry's black humour either, which renders them mostly into excuses to engage in random acts of violence.Having said all that above, "Magnum Force" is still enjoyable. Eastwood has no problem playing Harry - just place a sneer on your face. It's nice to see that Harry actually enjoys the company of others and cares about people - the family he visits, his partner, the neighbouring girl - and there are one or two lines in it that raised a smile (though none approaching the classic status of "I know what you're thinking - did he fire.."). The directing is trying too much, at times, to be involved (notice the shaky camera motions at the beginning, emulating - and failing to - the "madness" of the crowd) but it's never very much over-the-top. All in all it's not at all bad, not really that good. IMDB's rating of 6.5 is bang on target for what I'm giving it.